Kristin Kennedy of iTeach 1:1 has been inspiring me for awhile now with tips and resource for using iPads in the classroom. 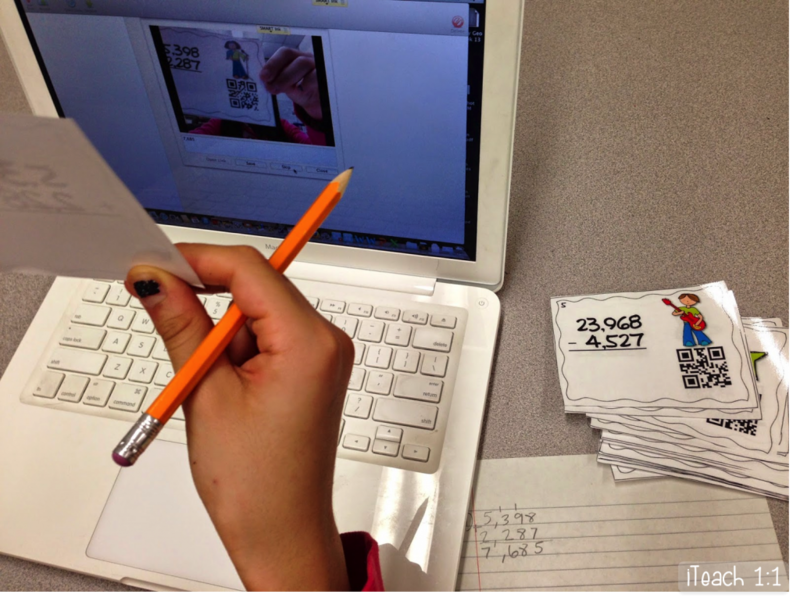 I’m pretty sure she loves QR codes just as much as I do, so I was super excited that she agreed to do a guest blogger exchange with me and a fun giveaway full of our best upper elementary QR code resources. I’m so excited to be exchanging blogs today with the amazing Tabitha! I’m Kristin and I blog over at iTeach 1:1. Be sure to check out Tabitha’s post there. I recently made the transition from teaching fourth grade with 1:1 laptops to teaching second grade with 1:1 iPads. 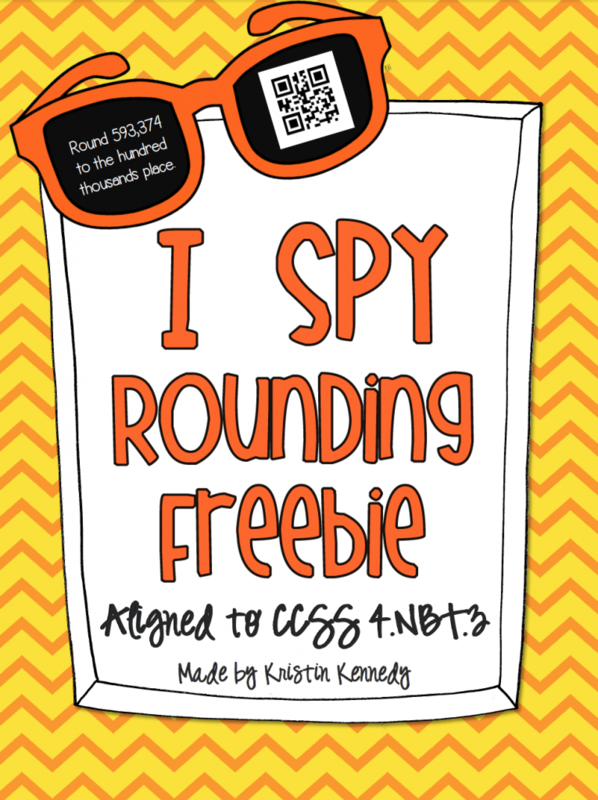 I’m very passionate about incorporating QR codes into my lessons and today I’ll be sharing some of my best freebies and tips for using QR codes in the classroom. 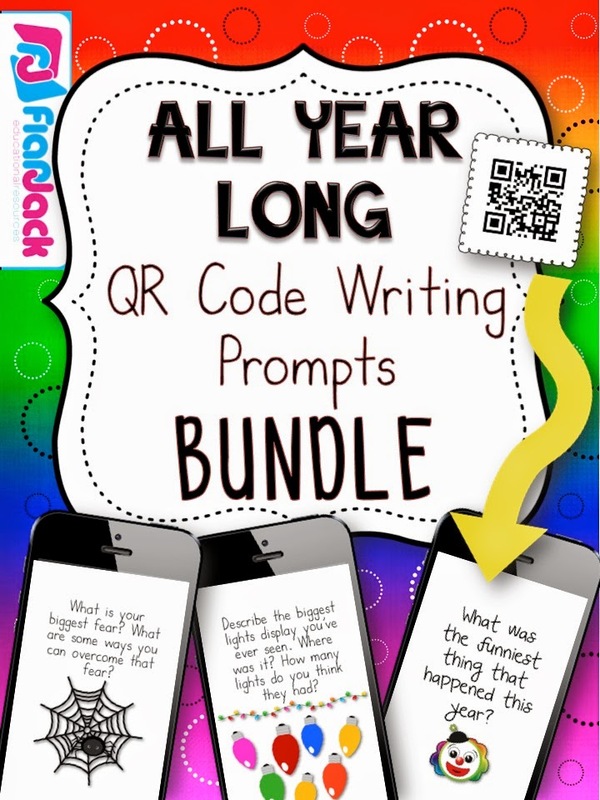 Tabitha and I are also giving away a huge QR code product bundle, so be sure to check that out at the end of this post! Since I started using QR codes, I’ve seen a dramatic increase in the level of student engagement. There’s just something magical about scanning a code and being taken to a special link or message. My students especially love it when I place QR codes around the room so they can move around while solving problems. In the picture below, two of my fourth graders are working together on a place value scavenger hunt. Each QR code reveals a question and leads them to the next phone until they complete the hunt. Click HERE to download a free QR code scavenger hunt to try out with your students. 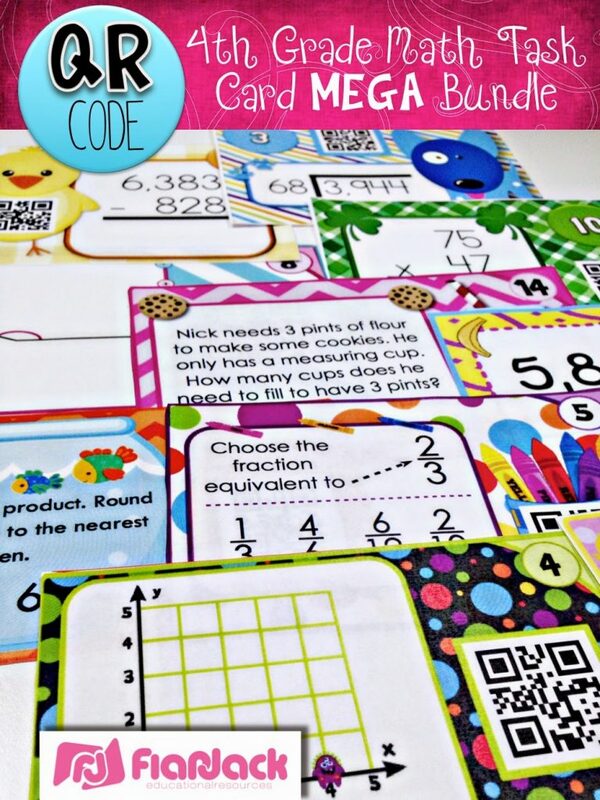 My students use self-checking QR code task cards on a daily basis during math workshop. I love that they can get immediate feedback while I’m busy meeting with small groups. In the picture below, you can see one of my fourth graders checking her work after solving a multi-digit subtraction problem. Click HERE to try this set of mixed operations task cards for free. Side note: Many people are unaware that you can scan QR codes using a laptop/desktop, but here’s a post I wrote about the app we use called QR Journal. 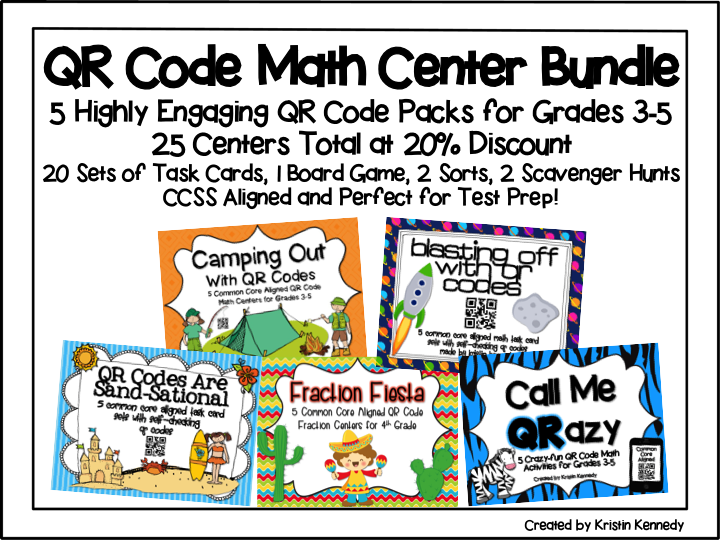 In addition to task cards, I have a couple of other self-checking QR code centers you can try out for free. This one is a prime and composite number sort. When students are finished sorting the numbers under the appropriate headers, they scan the QR codes to get a list of the numbers that should be in each pile. Click HERE to download it for free. 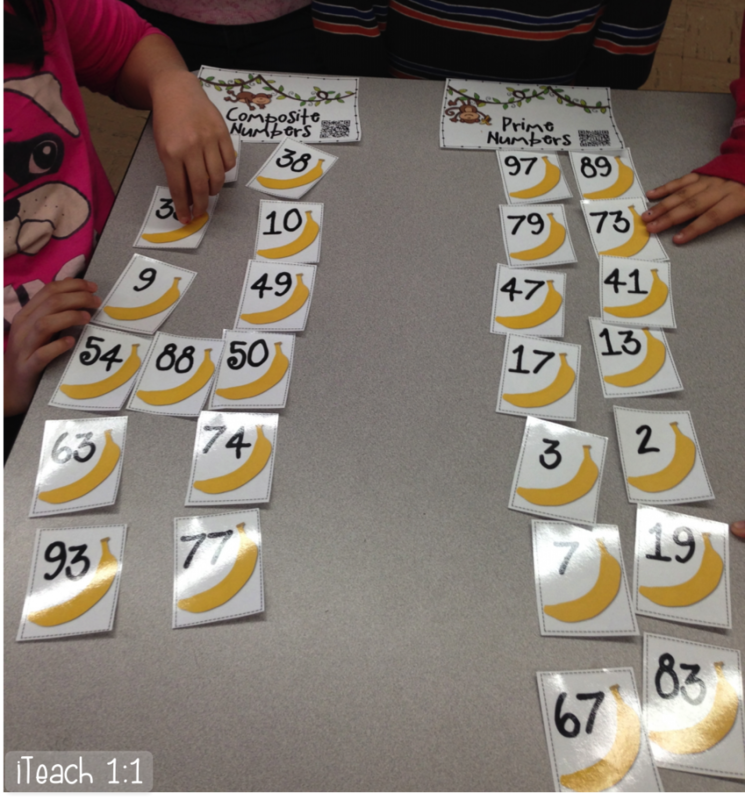 For this center, students cut out each set of numbers and place them in sequential order. 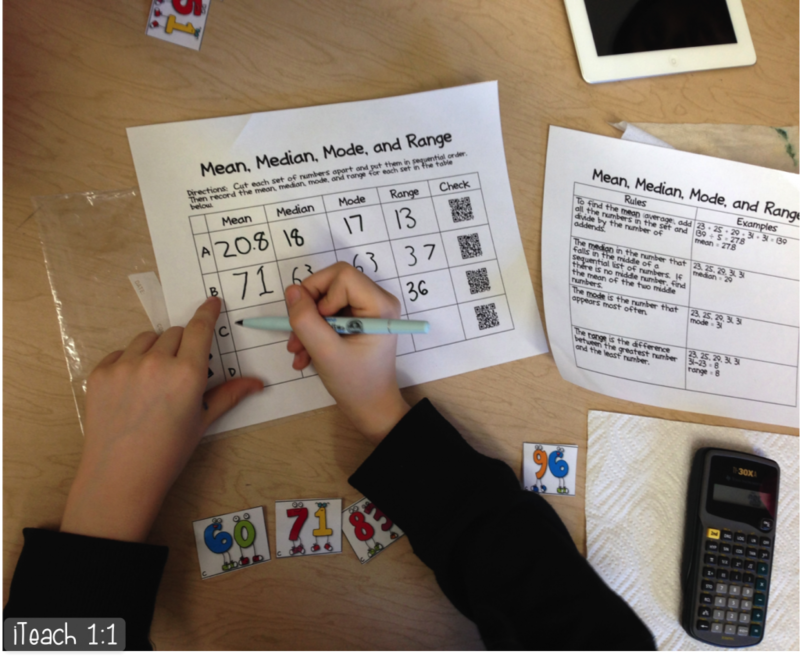 Then they find the mean, median, mode, and range of each set and check their work by scanning the QR codes. Click HERE to download it for free. 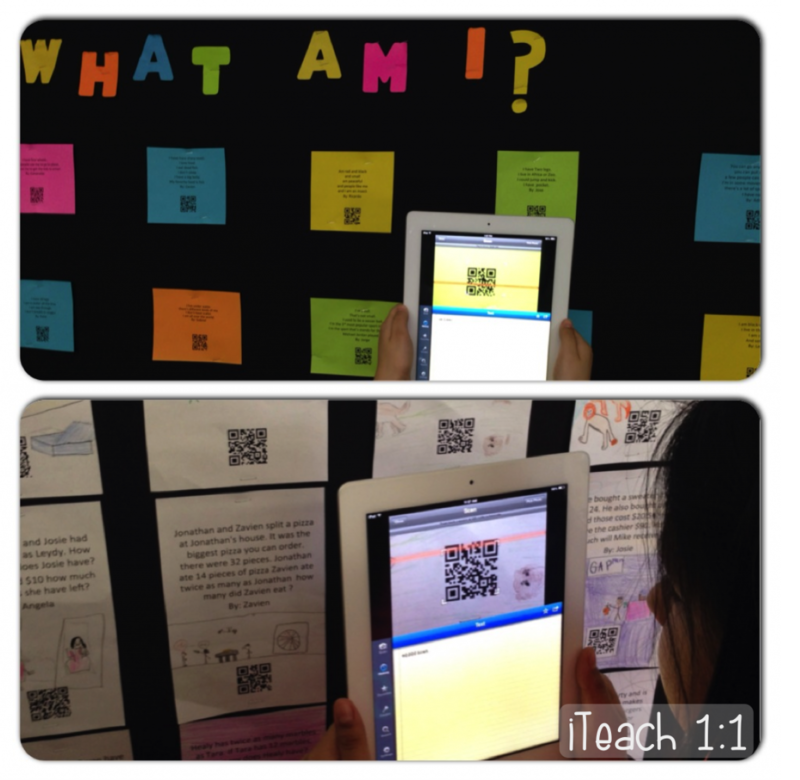 Lately I’ve been trying to incorporate more student-created QR code activities, especially interactive bulletin boards. Last year, we used the two bulletin boards in the back of the room for student-created interactive displays. One was an inference bulletin board for which the students used clues to describe something without giving too much away. They checked one another’s inference puzzles by scanning the QR codes. The other was a word problem board. 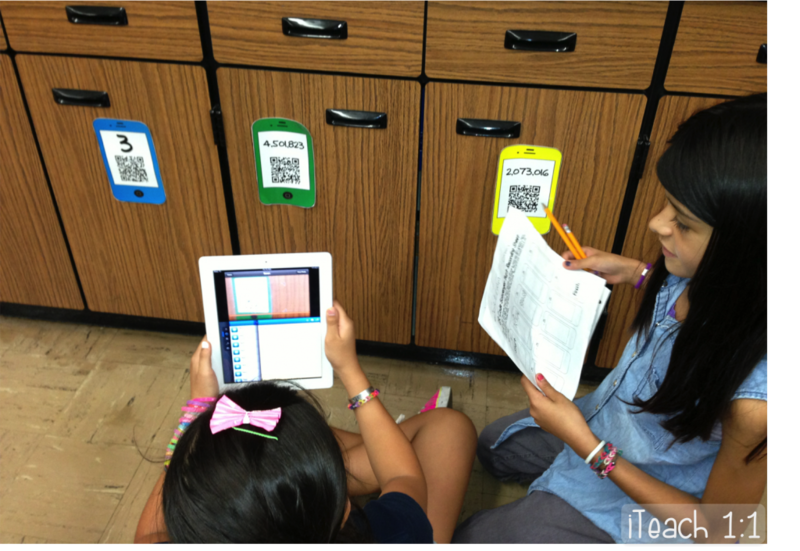 Students could create any type of word problem for their classmates to solve and then check by scanning the QR codes. I’ve never seen my kiddos so excited to solve word problems! My second graders recently put together this mystery number QR code bulletin board. They filled out a template (which you can grab here for free) based on a secret number of their choice. Then we generated self-checking QR codes that lead to their mystery numbers. They had so much fun guessing and checking their peers’ mystery numbers. 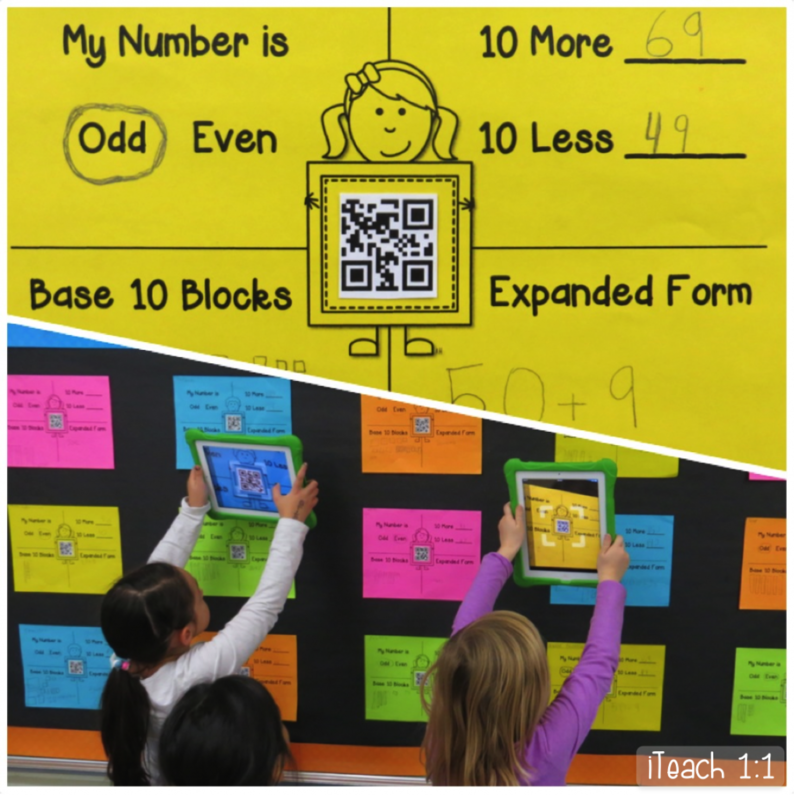 If you haven’t used QR codes in your classroom yet, I highly recommend it! 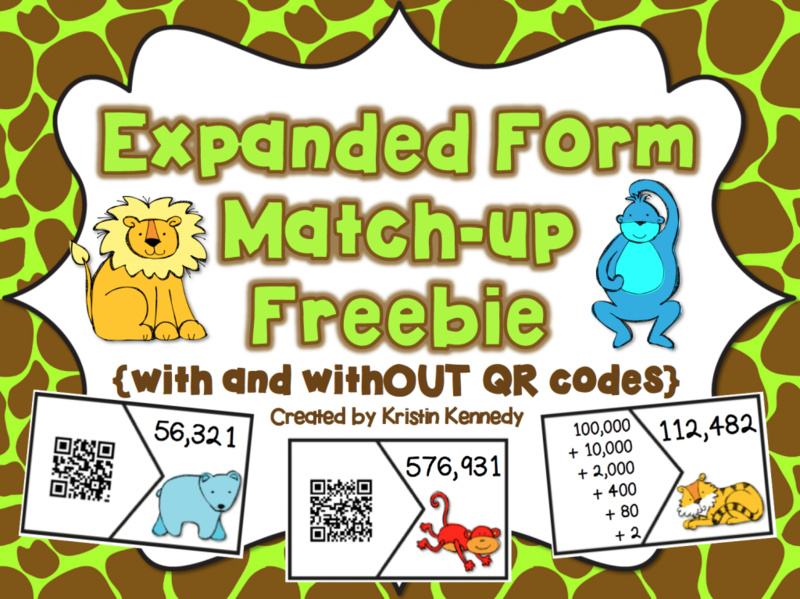 I’ve embedded several freebies within this post, but here are a couple more if you’re interested in trying QR codes with your students. The giveaway ends Saturday, December 13th, at midnight EST. 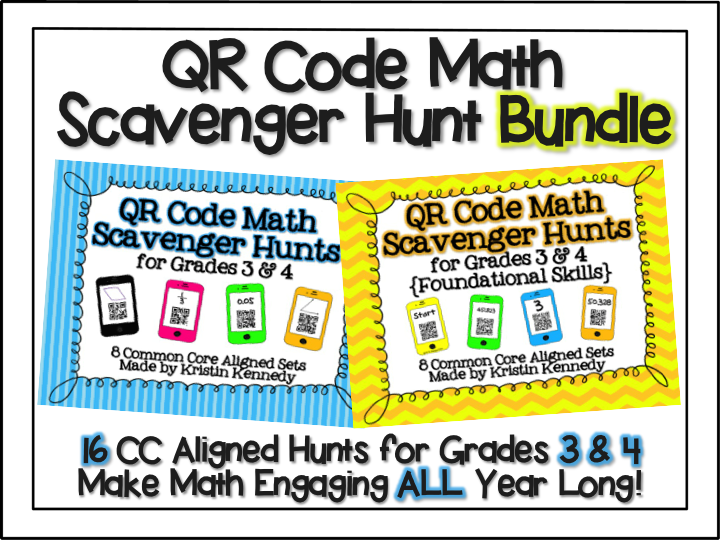 Enter now for a chance to win a ton of QR code classroom fun! Thanks for all the freebies as well as the great information. I'm trying to get started using QR codes. AWESOME QR code ideas!! Kristin's products are super affordable and always well made 🙂 Thanks for sharing!